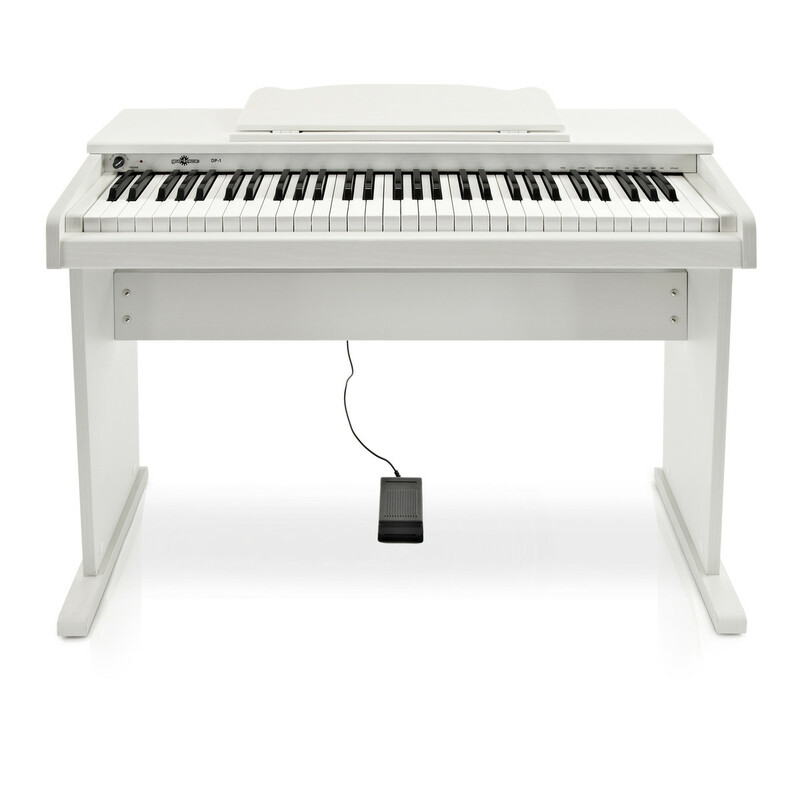 The JDP-1 Junior Digital Piano is a genuine digital piano redesigned to a smaller scale ideal for children. 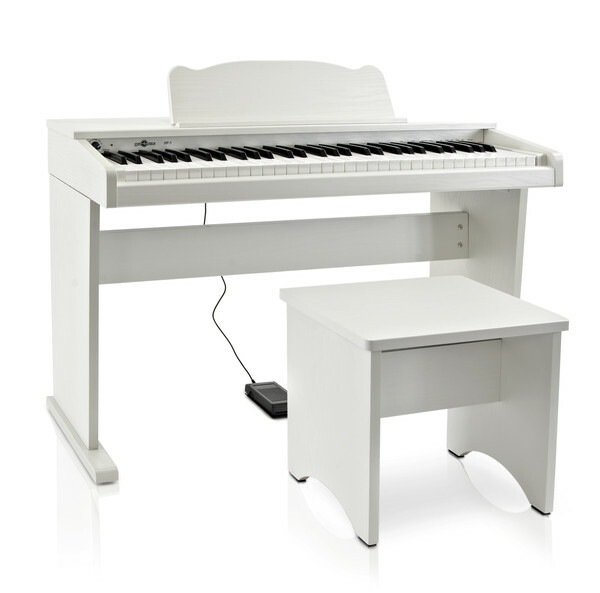 The piano provides a positive, fun playing experience for children and the USB connectivity means it can be used with a number of modern music apps. 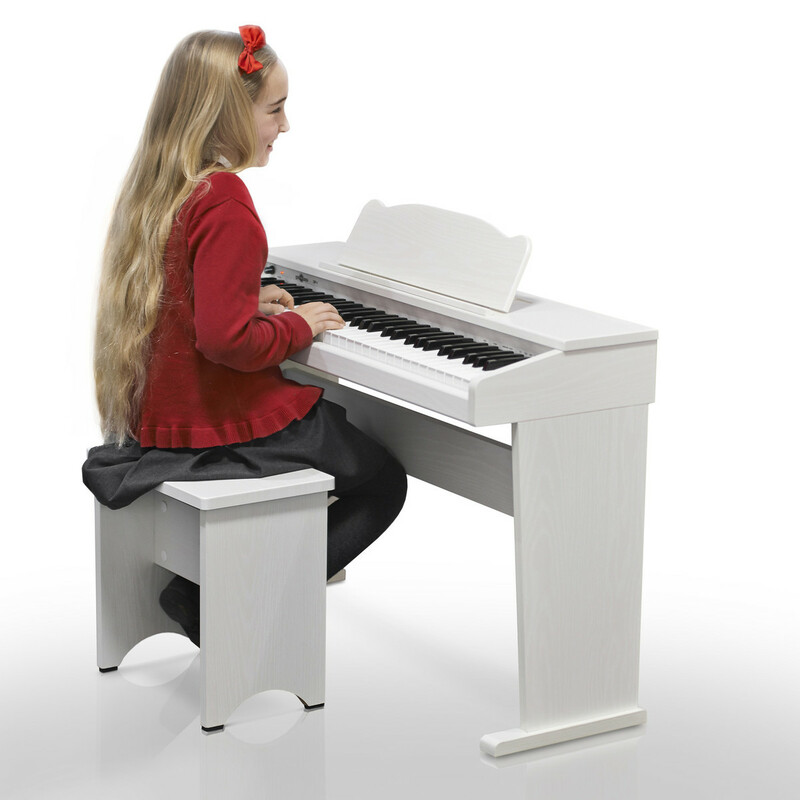 Simple, compact and fun, this piano allows kids to experience the excitement of music. It comes highly recommended by music teachers as an ideal starter instrument for younger players. 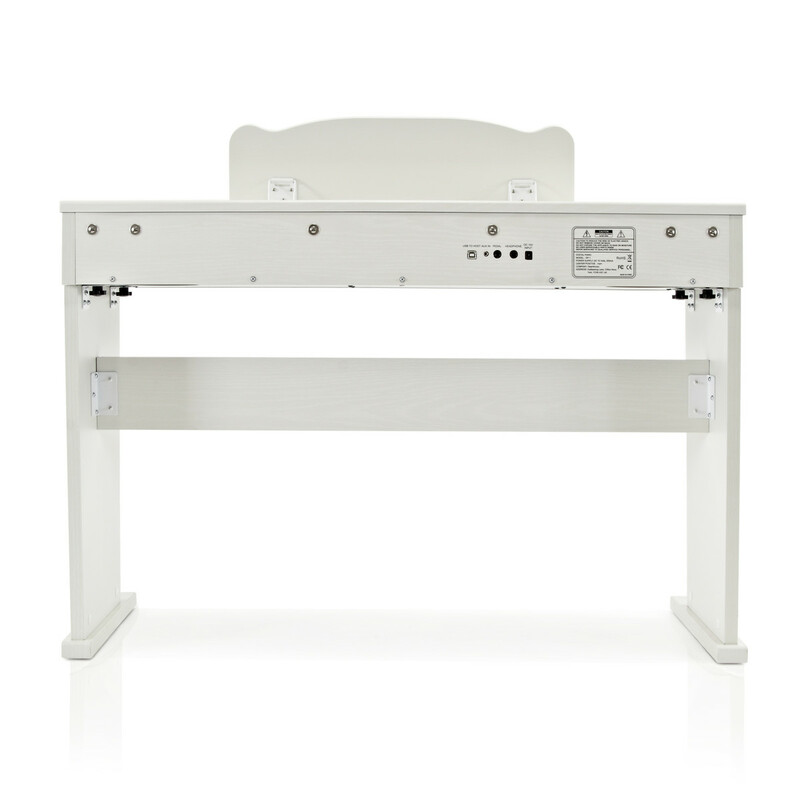 It comes with a bench and sustain pedal so beginners have everything they need to get playing straight away. The JDP-1 is a great introduction to the piano for children. It's a genuine digital piano with 61 standard size keys and a wide range of sounds, perfect for developing early music skills. There are many studies that show the benefits of children having access to musical instruments from an early age. The piano is one of the best instruments for teaching children about music theory and the basics of melody because the notes are visually displayed in front of them. The benefits of early music include encouraging creativity, developing musical skills, gaining an understanding of the learning process, improving concentration, building coordination and improving social skills if played with other people. Above all, children of all ages will find the Junior Piano a lot of fun! 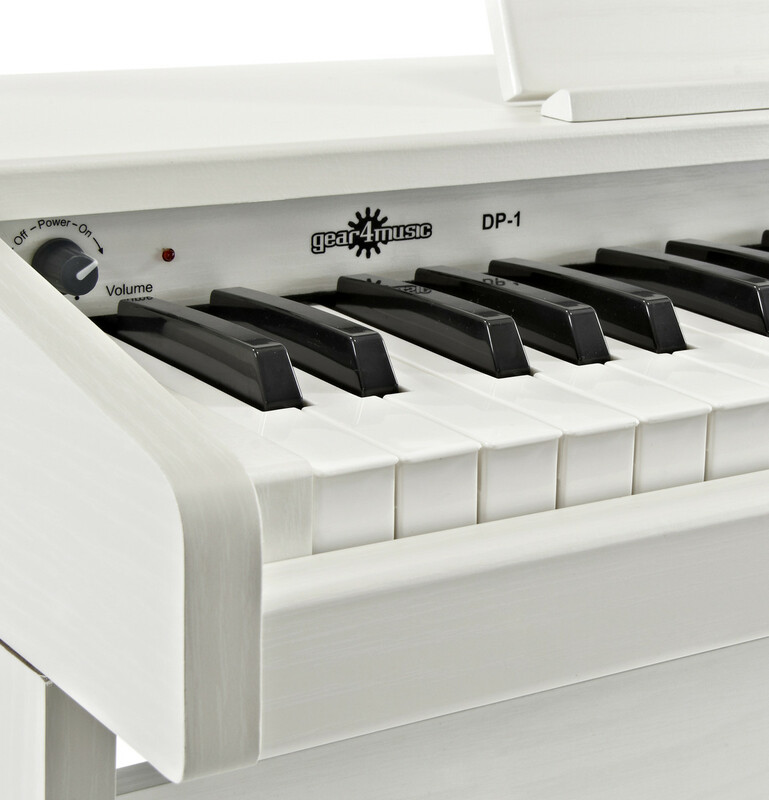 The JDP-1 has 61, standard size, touch sensitive piano keys that respond to nuances in the child's playing. The touch sensitive keys give the player a better learning experience developing proper technique which can easily be transferred to a full size piano as they grow. The JDP-1 has 8 voices, including piano and organ sounds, as well as some fun animal sounds, to fuel the child's imagination and keep them engaged. The JDP-1's built in USB port allows children to play fun piano games from a laptop, computer or iPad. Music apps on the iPad help children start to learn basic playing techniques and exercises. With these simple and fun games children will be playing songs in no time. The JDP-1 comes with an included sustain pedal, meeting the exam requirements up to Grade 4, and a headphones output which mean kids can practice at anytime without disturbing others. 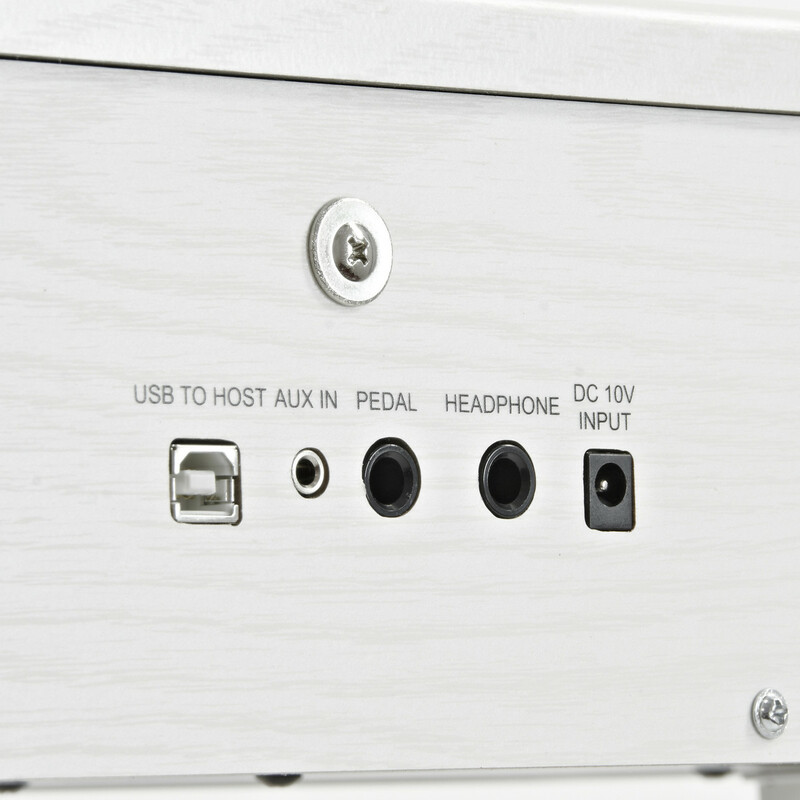 The auxiliary input means you can plug in a phone or mp3 player and they can either listen to or play along with their favourite songs. 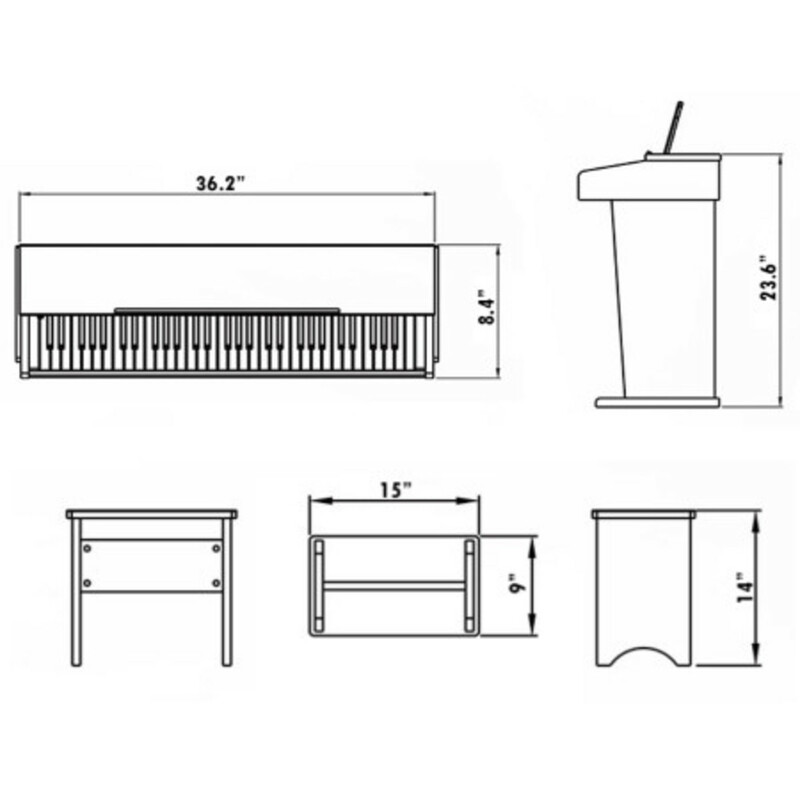 The JDP-1 has a smart white cabinet, complete with a matching stool, meaning it'll fit nicely into any home. 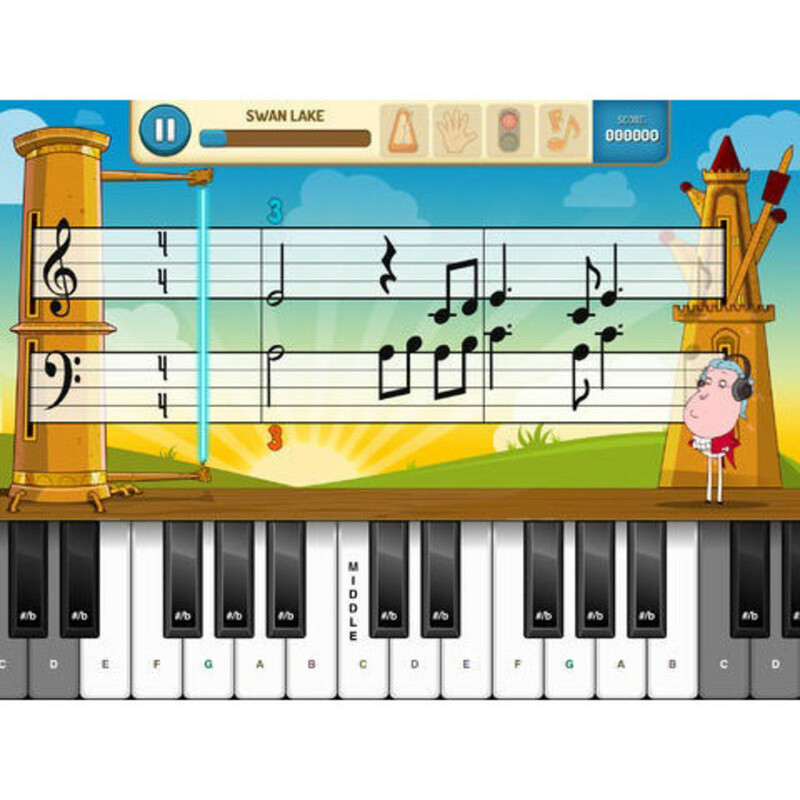 Dust Busters Piano Game App - teaches the student to play a song using a fun game. Ideal for beginners. Piano Maestro App - teaches popular songs such as Madonna, Maroon 5, Bruno Mars, Billy Joel, Taylor Swift, Katy Perry, Rihanna and Pharrell Williams. Fun for children and adults!